Featuring slim and lightweight designs, Foxconn BT series NanoPC offers a perfect balance of portability and productivity, for housing and office companion with a fresh stylistic design. The NanoPC supports high-precision input for leading business, graphics and productivity applications. 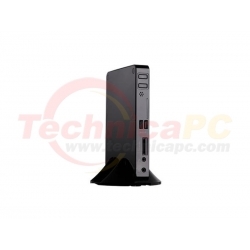 The BT Series NanoPC is around 30 times smaller than a typical Micro-ATX PC. All new BT series NanoPCs have been designed to perform quietly and consume 70% less power resulting in enhances performance as compared to traditional desktops. 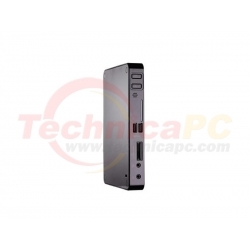 It is inbuilt with 6-in-1 card reader, running at 300MB/S data transfer rate. It is designed to be mounted behind a monitor or a flat screen television. Along with its thin and lightweight design, it also offers the full Windows 8 experience. The exclusive COM port design provides powerful extended functions for POS. Users can watch TV via HDMI. NanoPC supports 3D function for sensational experience. The latest Bay Trail platform provides you the ultimate green power experience ever. With its small footprint and industry- standard design, the mPCIe format is an ideal fit for embedded solid state storage because it allows high capacities and high performance while ensuring compatibility in ultra-mobile applications. USB 3.0 transfers data at 10x faster than USB 2.0 and is also backward compatible with USB 2.0 components. BT series NanoPC affords greater convenience to high speed connectivity.